Public debate is unpredictable by nature, but I have to admit that the approach undertaken by the folks at BioLogos continues to amaze me. 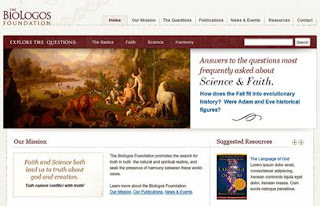 The BioLogos movement is a straight-forward attempt to persuade evangelical Christians to embrace some form of evolutionary theory. Organized by a group that includes Dr. Francis Collins, now the Director of the National Institutes of Health, the movement seeks to marginalize objections to evolution among conservative Christians. It offers a very sophisticated Web site and an energetic communications strategy. The writers for BioLogos have been unsparing in their criticism of evangelicals who believe in the inerrancy of the Bible, or are proponents of either Intelligent Design or creationism. They initiated a public debate by presenting their arguments in the public square. But now, it appears, they really do not want a public debate at all. They want a one-way conversation. In his article, Dr. Sprinkle uses the account of Peter and Cornelius from Acts 10 to argue that “our theology is descriptive, not prescriptive; it is our collective and halting attempt to describe in coherent terms what we know of God by what we have seen of His acts and what we have read in His Word — and, above all else, by what we have seen in the acts of the Word, Jesus.” That argument points very clearly in the direction of minimizing theology and doctrine, but it is also false. Unless a church forfeits all doctrinal responsibility, at least some theology is always prescriptive. I can read their words, however. Their theological arguments are published in the public arena. They are not shy about making their proposals and they call for a radical reformulation of evangelical doctrine. Their assaults upon biblical inerrancy have not been made in private conversations, but in public discourse. Their argument that the Apostle Paul was wrong to believe in an historical Adam and a historical Fall was made in public, as was their denial of common descent through Adam. They will have to take responsibility for these arguments. They should expect no less than a spirited debate over their proposals, and it is nothing short of bewildering that they now ask, in effect, for a pass from all theological scrutiny. They accuse conservative evangelicals of driving evangelicalism into an “intellectual cul-de-sac” and the status of an intellectual “cult,” and then have the audacity to complain of the “tone” of those who argue that their proposals amount to a theological disaster. Virtually every form of theological liberalism arises from an attempt to rescue Christian theology from what is perceived to be an intellectual embarrassment - whether the virgin conception of Christ, the historicity of the miracles recorded in the Bible, or, in our immediate context, the inerrancy of Scripture and the Bible’s account of creation. Dr. Sprinkle kindly invites me “to come and see what I see in the hearts and lives of people in the BioLogos community.” I am willing and eager to enter into any conversation that serves the cause of the Gospel. But a conversation that serves the cause of the Gospel cannot avoid talking about what the Gospel is - and that requires theology.